This article was published on 05/08/2014. 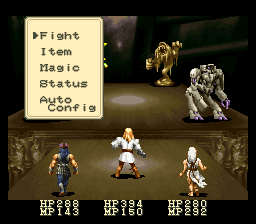 Turn-based combat and random encounters were quite common in the RPGs I played while growing up. A couple of my favorite RPGs had them, but those were things that I've only ever tolerated, not outright enjoyed. The thing is, back in the 80s and 90s, there weren't many other games that provided the same experiences RPGs did, especially on consoles. RPGs had complex plots, lengthy adventures, town exploration, character customization, leveling up, etc. These games just had a certain kind of atmosphere to them, as if they had real, living, breathing worlds where people actually used the bathroom. Many of those things were completely foreign to me at the time, so I was naturally drawn to them. If you liked that sort of thing in your console game back then, you were basically forced to tolerate turn-based battles and random encounters. Sure, there were a couple of games that mixed action with RPG elements, like Secret of Mana, but these games were few and far between. For the most part, I didn't have a whole lot of choice in the matter. Action games had the better game play, but they lacked all the other cool stuff RPGs had. Thus, I steeled myself against the tedium of randomly encountered, turn-based fights to enjoy the juicer bits RPGs had, like the story and music. So why do I hate turn-based combat? Well, it's simple, really. I like interactivity in my video games. The most enjoyable part of a game for me is seeing my button inputs result in immediate actions occurring on the screen. In short, I like it when my dude swings his sword when I press the Y button. This makes it feel as if I'm in direct control of the character. I like that feeling. What I don't like is selecting commands off of a menu and then waiting for my characters to execute those commands by themselves. The end result is technically the same, I'm still influencing the character's actions in both examples, but one of those examples is far more interactive than the other. In case you're having trouble figuring this out, the more interactive option is the one without turn-based combat. There's a big difference between selecting the guard command off a list and holding down a button to guard. It's like the difference between doing your own groceries or giving someone else a grocery list and then watching them do it for you. I guess that's a bad analogy, since nobody likes doing groceries, but you get the idea. Turn-based combat automates all the action while you focus on the strategy. The action is my favorite part, though, so I don't want the game wresting control away from me during those moments. According to some Japanese game developers, turn-based combat was a means to cater to gamers with poor reflexes. Some proponents of turn-based systems agree with this, stating that they're just not skilled enough to enjoy the real-time nature of action games. Look, I'm not skilled at video games, either. My reflexes and reaction time are horrible and they're getting worse all the time. That doesn't mean I can't enjoy action games or real-time combat. In fact, in spite of how bad I am at real-time combat, I still like it way more than turn-based. Yes, I'm much better at turn-based fighting, but that doesn't mean much if I'm not having any fun. There are plenty of action games and games with real-time combat that are easy enough to play for people with bad reaction times. Nintendo develops a lot of games like these, like the Kirby series. Action RPGs are also not as demanding as most legitimate action games, as they cater to fans of RPGs. Plus, action RPGs will have the other elements normally prevalent in RPGs that are actually fun, just without turn-based combat. I play a lot of these games, because I like the interactivity of real-time action, but lack the skills to properly enjoy the harder stuff. If you don't want any action in your games whatsoever, that's fine, but the poor reflexes excuse doesn't hold up. Come up with a better excuse next time. There are times when turn-based battles are absolutely necessary for a game to function. In some of these cases, I don't mind the game going turn-based. For instance, tactical games like Tactics Ogre, Final Fantasy Tactics, Front Mission, etc, are all turn-based and I actually like them that way. The way I see it, these games all play like heavily modified versions of chess, which is another turn-based game that I enjoy. A lot of these games flat out wouldn't work without the turn-based part. Some of them would still work, however, but they'd be transformed into something else entirely; real-time strategy games. If there's anything that I hate more than turn-based battles, it's RTS games. My hatred for the RTS genre deserves its own article, though, so I'll leave that discussion for another time. Another type of game I'm okay with being turn-based is stuff like Mario Golf, or any other golf game. Again, golf games must be turn-based to function properly, for obvious reasons. I'm not an extremely huge fan of golf games or anything, but I do like playing them with friends and family on occasion. Then there are games like Mario Party that mimic the structure of a board game, and I'm perfectly fine with those being turn-based, too. The turn-based natures of these games feel justified and therefore don't bother me. 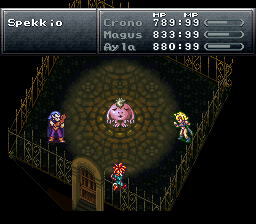 Turn-based battles in RPGs rarely feel justified, though. It's often totally unnecessary for an RPG to go with turn-based combat, as if it's merely a stylistic choice as opposed to a functional one. RPGs can literally accommodate any kind of combat system, so there's no need to shackle the genre to a turn-based one. Doing so makes me mad. I'm a lot older now and far less tolerant. I don't have the same level of patience I once did as a kid, where I'd tolerate eighty randomly encountered, turn-based battles in a row, just to experience the other aspects of the game that I enjoyed. We're all running out of time here, and the older I get, the more I realize how little time I have left. Life is short and I don't want to spend most of my remaining days sitting through more turn-based battles. Nowadays, if a game has turn-based combat, I simply don't play it. I understand that some people actually like turn-based battles, and there's nothing wrong with that, but it's something I personally can't get behind anymore. 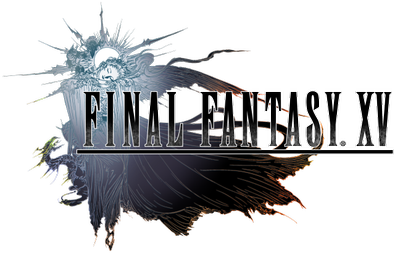 That's why I'm looking forward to Final Fantasy's first major foray into full on action RPG territory, Final Fantasy XV. I tend to avoid RPGs like the plague these days, but I often make exceptions for action RPGs, and this is one I might play. All the other turn-based RPGs can go get bent. 1,388,087 people love this site.